It’s been 50+ years since I first began doing yoga. This, along with my daily reflection of Buddha’s Noble Truths, has been by far the best thing I’ve ever done in my life for my life. In truth, a lot of life had to pass under the bridge of life before I truly realized this. For decades, it was just faith, pride, and ambition that pushed me along. Yoga, as a vehicle, takes you to unimaginable places, depending on you, the driver. You can begin yoga by doing just one posture a day to get the ball rolling. Next year, or sooner if you like, add one more… and so on. Doing this one posture ‘religiously’ every day without fail is sufficient. That constancy will take care of the rest over time — naturally. Why say treasure and trouble seem like a body? Come the time I have no body, I have what trouble? Seems worthy of trust for all under heaven. Seems worthy of holding in the palm of the hand, all under heaven. I’ve posted free PDF downloads for the most important beginning yoga postures. Begin now… what’s to lose but a couple of minutes a day. Download the PDFs at www.centertao.org/essays/yoga/booklet/. 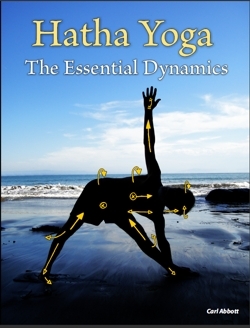 For the complete book, go to www.createspace.com/3786157 or Google Hatha Yoga: The Essential Dynamics. The first title, “Yoga GURU…” has six segments. After watching 1/6, simply change the 1/6 in the search window to 2/6 and search again. Continue on up to 6/6. The second title, “…Yoga Demonstration, Sydney…” covers the basics nicely for 90 minutes. The last two videos are interesting for various reasons.